Coach Kelly with some of her tribe in the yoga hut. If you have a loyal group of participants to your class or fitness studio, taking them on a TripTribe fitness retreat or vacation sounds like an awesome opportunity – especially when you get to travel for free as a TripTribe Ambassador! We talked about this new opportunity in an earlier post about getting paid to take a group on a fitness vacation. Listen to my interview with Kelly to hear her explain her experience. How about a free fitness vacation in Costa Rica? This jungle resort in Costa Rica looks exotic and the cost seems reasonable for 5 nights. I’m always on the lookout for ways that I can leverage my ACE group fitness or Pilates certification to benefit me and my family. In the past I felt very privileged to teach fitness classes in Jamaica and Mexico as a representative of Fitbodies inc. Every trip was memorable, regardless if it was my whole family, just John or with a girlfriend… okay, the girlfriend trips were extra special! The one caveat is that a Fitbodies trip costs money for the agent’s fee and airfare – that’s part of why I enjoyed the girlfriend trips the best. I provided the agent’s fee and my friends supplied the plane tickets – often using miles. Now I’m excited at the prospect of travelling for free… and maybe even getting paid to lead fitness activities at a place I’ve always wanted to visit – Costa Rica! If a free trip doesn’t motivate you, well then you probably prefer to stay home. 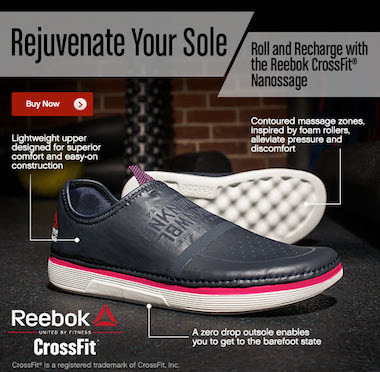 How would you decide; Fitbodies or TripTribe? I was discussing TripTribe with an instructor friend and John over dinner last week. This question came up… how would you decide? The money part is always an issue (fitness pros aren’t very high up on the pay scale) so for a low (or no) budget trip, TripTribe.com would be the first choice. The romance and privacy that comes from being at an exotic Caribbean resort, where not a soul knows you, can be pretty magical. I’m not sure why, but john and I are a lot less self conscious when we know no one the whole week. If that’s important to you then Fitbodies would be the best choice. Traveling as a single, platonic couple or maybe you dreamed about being Julie from the Love Boat as a young girl? TripTribe could be exactly what you’re looking for. Do you socialise with a group of singles from your club or studio? This would be a perfect TripTribe.com vacation where you bring all your peeps. Last minute teaching fitness vacations. If you’re feeling a spontaneous urge to travel to the Caribbean next week, there are a bunch of All Inclusive Resorts who need a fitness pro. Secrets Capri Riviera Cancun (CUN)*open due to last minute cancellation. Gift fund only. No admin fee. This week/resort ONLY. All the details are here – even if you can’t make it next week, there’s no time like now to plan your next vacation. I just wanted to post a quick note about our trip to Secrets St. James in Montego Bay as John and I are packing up to leave. We really love this place. The food is awesome and the service is top-notch. I had good attendance for each of my classes @ 8:30 and 5:00 each day. I taught a combination of Yoga and Pilates which appeared to be appreciated by everyone. As typical for us, we jumped on FitProTravel yesterday to look at options for us to return to the sun in a few months. We’re seeing a number of open dates and once we’re back in the states we’ll be booking flights. Is it time to schedule your teaching fitness vacation? I know it’s summer, but I needed a trip scheduled. This warm, beautiful weather is going to end long before I’m ready. When it does I’ll want to escape to a warm beach, even if only for a week. Past experience tells me that there are limited opportunities to travel where Amy and I can teach fitness, in exchange for an all-inclusive vacation at a resort in the Caribbean. We were there a few years ago. This resort is awesome and only a 15 minute cab ride (on the wrong side of the road) from MBJ – the Montego Bay, Jamaica airport. Here’s a short video we made explaining what happens when no one shows up for your class – which is not uncommon and is nothing to be concerned about. Teaching opportunities at Secrets are for Group Fitness and Mind Body certified Instructors = this will be an easy week for me as I’m neither. But I will help out. Many resorts schedule an early AM fitness walk, which I’ll do, so Amy can sleep in. Amy’s teaching schedule will include a couple of Pilates classes each day. That’s it, unless we work a trade with the other Instructor to cover each other’s their classes one day, so we both have a full day off to explore Jamaica if we choose. The company that makes these trips possible is FitBodiesInc. Amy and I have traveled with them for close to 20 years (has it really been that long?) and we have always enjoyed working with their president Suzelle Snowden. Suzelle was actually my very first guest on the Indoor Cycle Instructor Podcast back in 2008. 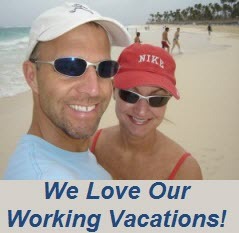 Since then we have encouraged hundreds of other instructors to take advantage of these very low cost vacations. Suzelle and I recorded an interview back in 2009 that explains everything and how they added a few resorts where you can teach if you’re not a Group Fitness/Mind Body Instructor – you’re only certified as an Indoor Cycling Instructor. You can learn more about the details here or create a free profile so you can check availability at the 60 participating resorts in Jamaica, Mexico and other exotic locations in the Caribbean. Are you a tennis Pro or coach looking to take an all-inclusive vacation this spring? FitBodies,Inc. has these opening they need to fill ASAP! Grand Lido Negril – Would love you tennis pros to book more weeks! Right now we have a special request for a tennis pro April 13-20. 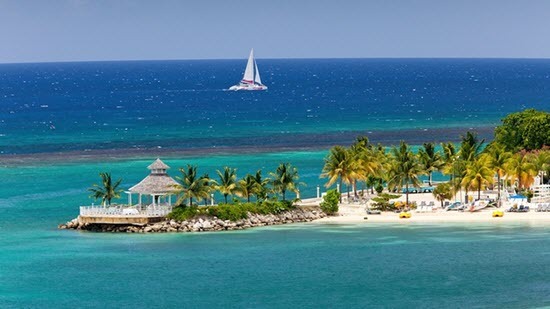 Travel to beautiful Jamaica and to one of the most amazing beaches in the world right out your hotel door. This is my all-time favorite resort in Jamaica. Zoetry Paraiso de la Bonita – This wonderful property is looking for tennis pros too! You will find this resort available to tennis pros on our site but with no dates listed. You must first create a user profile and then contact Lisa at lisa@fitbodiesiinc.com to be approved and find out dates of availability. Sorry, Christmas and New Years weeks will never be available. Also keep in mind that there is a nightly per person fee to stay at this exceptional property. Bishop is the local Fitness Pro. He and I worked out the schedule for the week on Monday morning. I had two classes a day – off on Saturday. We’d alternate between a Pilates and Spinning class + an 11:00 pool class. John helped out with a few of the early 7:00 AM power walks. View from our balcony, looking at the inner courtyard pool and hot tub. A swim up bar is beneath the platform. We found the rooms very nice (but not overly large) and the housekeeping staff did a great job cleaning up after us and keeping us with clean towels. My Pilates classes were out on this pier – the view and sounds of the ocean were awesome. Last “Mudslide” of the trip with one of the entertainment staff. John with Barbie – who was fantastic keeping everyone feeling welcome! Would we return to teach there again? Absolutely. Although I do need to caution you that Jewel Paradise Cove has a very small beach. Actually the whole resort is one of the smallest properties we’ve stayed at. For John and I small is fine, we don’t feel compelled to do much beyond hang at the beach.